Garage ideas can help you decide on the perfect use for your currently unutilised space. Can you think of anything better than somewhere different to lounge around, undisrupted on those lazy Sundays? Your garage may just be the answer. The likelihood is that your garage is currently filled to the brim with both useless, and childhood possessions. You may not realise it, but you could be a mild hoarder. There are very different levels of this issue, and it’s all to do with attachment. You may feel like this with some of your childhood belongings – which is totally normal. But if you are hanging onto things, and storing useless junk in your garage and loft then this could be an issue. A lot of homeowners don’t realise the potential of their garage or loft. So much unutilised space is being wasted for storage purposes for things that you don’t even need. When you think of your garage, you may picture darkness, cement and spiders. But with the correct home conversion and project management services Milton Keynes, you can create a living space within your garage for a price that doesn’t break the bank. We believe garage conversions are one of the simplest and most cost-effective out of all home conversions, which is why we have taken the time to devise a list of alternative uses for your garage that will benefit you and your family. Whether you savour the rare time that you get to spend socialising with your friends, or if you’re a social butterfly. Either way, a garage conversion can make your weekly meet up’s a lot easier, and more cost effective. If you delight in going out with your friends, it can make it difficult for this to become a regular occurrence, after the costs of drinks, meals out and travel – you end up spending a small fortune just to spend some quality time with those closest to you. Although a garage conversion is most definitely more expensive than a meal out, in the long run, it will save you money on nights out and trips. By creating a games room in your home, you can invite the ones you love around for a friendly game of Monopoly. Or why not buy a football table or popular games such as Twister. Although it sounds cheesy, when teamed with a bottle of wine, a few beers and a nice cooked dinner, you can have just as much fun in the comfort of your own home! If you enjoy going out to the casino, or your simply not a fan of cheesy board games, why not host a poker night? Poker tables can be brought at a reasonable price with some research, or stick to simple card games like blackjack. Just remember to keep it friendly! If your somebody who loves the gym, a home gym might just be the solution to dragging yourself to the gym after a long day at work. If you are in a full-time career, it can be stressful and takes up a prodigious amount of time within your day to day life. It can be challenging to find the time and motivation to get yourself to the gym after a stressful day at work. A home gym is easy enough to create in your garage space. You can create this without the need even to convert your garage, although it might be a bit chilly! Most garages often have some electrical outlets for things such as lawnmowers; if this is the case, then you can contact an electrician to enquire about adding electrical outlets into your garage. Installing new electrical outlets and plug sockets is a relatively simple procedure and is normally and affordable service. Finish your home gym off by adding your favourite gym equipment; you even get to use your own showers afterwards! Imagine the feeling of being able to watch your all-time favourite films, on a massive screen in the comfort of your own home. Duplicate the cinema experience into your own home by transforming your garage into a home cinema. A lot of people think that when they add a home cinema to their home, they will need to pay thousands for a huge flat screen 3D television, this is not the case! To make the experience even more authentic and mimicked from your local cinema, invest in a projector. Projectors can be installed by an electrician to be hung from a bracket on the ceiling, or they can be put on shelves, drawers or even just a table. Projectors are affordable and can project a movie image the size of your wall! Be sure to remember comfort; comfort is key. If you decide on building a home cinema, remember to test out a few sofas, bean bags or armchairs and find something perfectly suited to you. If you have young children that are constantly messing up your home after you’ve spent hours cleaning, a playroom could be the ideal solution. A playroom is often longed for by most families, but is typically put off as they don’t think they have enough space in their home for it. Your garage is the ideal sized space for a child’s playroom. It can be heated, painted and decorated just like any other room, and eliminates children’s mess all around your home. Of course, it’s very well known that children are notorious for leaving their toys strewn across the floor and having spillages. 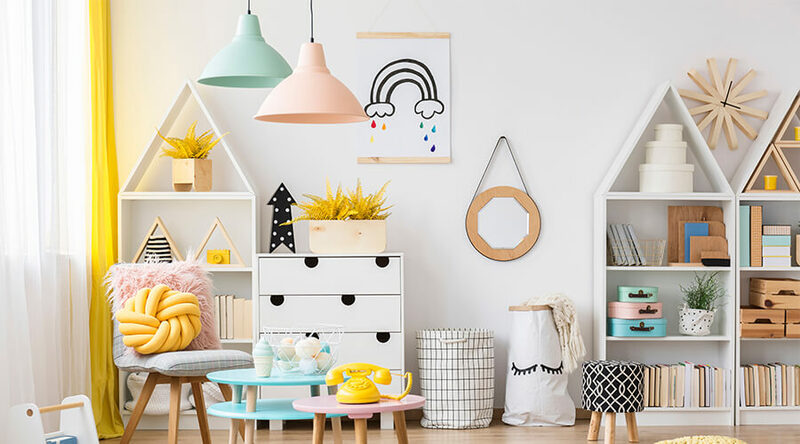 Be sure to incorporate plenty of storage solutions into your new playroom, and maybe opt for a different flooring option as opposed to carpet, which is more difficult to get out stains. Converting your garage is way more beneficial than you likely would’ve first anticipated. You will notice the difference, and the true space that your garage has to offer when you get round to converting it. For any more information about new build houses Woburn Sands or anything else, please feel free to please contact a member of our staff today for more information. We hope that this article was helpful, if it was then why not share on social media?